On Thursday's Late City Edition, tune in for a conversation with Nancy Kates, director of the forthcoming HBO documentary Regarding Susan Sontag. The film offers an in-depth study of intellectual, filmmaker, and activist Susan Sontag. 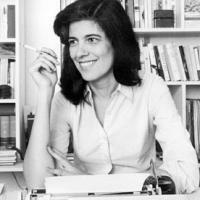 We sat down with Kates to discuss Sontag's life, work, and legacy, as well as Kates' journey working on the film, which debuted at this year's Tribeca Film Festival.